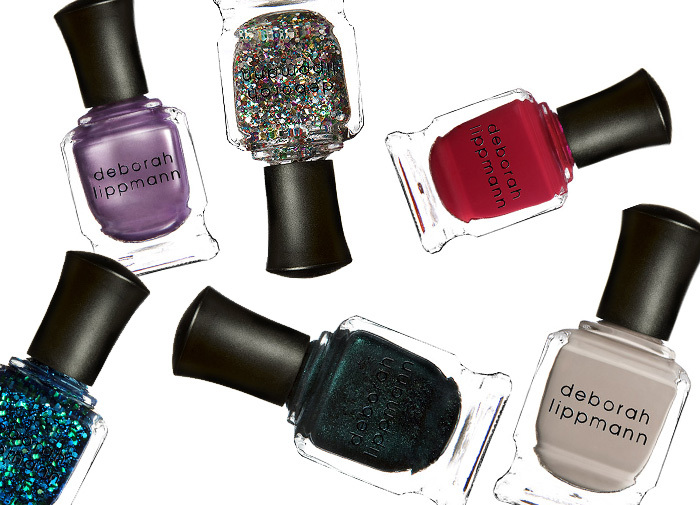 I’m wildly excited at the prospect of being able to get my hands on the Deborah Lippmann’s collection. From mid October, House of Fraser will be stocking The Lippmann Collection exclusively as part of it’s new Apothecary. The collection includes cult shades such as Happy Birthday, Don’t Tell Mama, Superstar and now included under that ‘cult’ umbrella thanks to a recent Vanity Fair cover… Waking Up In Vegas. Starting from £14 a bottle, The Lippmann Collection may well make our purses weep, but there’s no denying that there are some splurge-worthy shades at our fingertips. Me? I’m lusting after Waking up in Vegas (naturally!) and new shade for A/W Across the Universe (the blue glitter above). Some of those polishes are gorgeous, but £14? Ouch. I’m in the US, and they’re $16-$18 here . . . I’m much more of a budget shopper but I just HAD to have Across the Universe and Bad Romance, and MAN are they worth it! Absolutely stunning colors, both of them. I’ve never spent anything even close to $18 on a nail polish before, yikes. across the universe looks amazing!!!! I have wanted Happy Birthday for the longest time! I saw these at the HoF Apothecary launch last week and they’re gorgeous. There’s a purple/green duochrome called Wicked Game that I’ll be getting regardless of the £14 cost. I’ve heard about these, and I’ve seen them on models in Vanity Fair Pretty! Love them all! Especially that dark creamy pink. Please also check out our healthy skin care, Electric Body, that will also be featured through the new Apothecary at the House of Fraser. Thanks! I am sure you will love it! ahhh the colostrum cream? I’m intrigued… that’s for sure!